So you’re thinking about expanding your home’s living space by building a room addition. 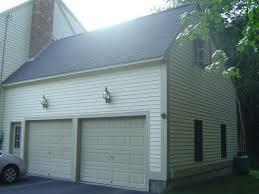 A smart idea, as it costs a lot more to sell and buy a larger home than build a room addition onto your existing house. 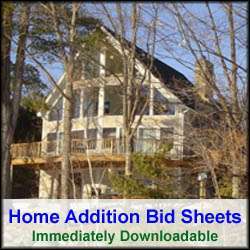 However, you most likely will want to know how much a room addition costs before breaking ground on it. The answer to this question, however, is not simple as there are a number of factors that ultimately determine the cost of a room addition. The number one factor that dictates the cost of a room addition is the size of it. For example do you want to build a 20×20 room addition or a smaller 12×12 room addition. The reason why size matters so much is that room additions, like new construction homes, are effectively priced on a square foot basis. So if in your local area the cost is $200 per square foot for building a room addition, you can easily calculate the cost of your project by multiplying this number by the number of square feet in your proposed addition. So for example, if you were building a 20 x 20 square foot room addition, you’d multiply $200 x 400 square feet, which works out to $80,000. The other major factor that plays a major role in the cost per square foot of building a room addition are the materials and unique features included in the room addition. For example, if you have plans to build a room addition that includes either a kitchen or bathroom, and use high end products in it, you can expect the cost per square foot for the room addition to be high. So if you want to keep your room addition costs moderate, then skip the bathroom and kitchen features, which require a great deal of plumbing, cabinetry and appliances. Similarly, if you want to keep room addition costs low, don’t use high end building materials, e.g. hardwood finished trim. Likewise, if you are considering including a fireplace in your room addition, expect to pay more for your room addition, and particularly so if you choose to build a stone fireplace. A stone fireplace costs about 3 times as much as a brick fireplace. If you live in a community or region that is experience high growth rates in building construction, then expect to pay more per square foot for your room addition project. With high demand for carpenters and contractors, and limited numbers of them, they can and do charge a premium for their work. So if you are in the middle of a hot building market, be prepared to expect higher room addition building costs. Alternatively, to save on room addition costs, you may want to consider holding off on building your room addition until the building market in your local area cools down. How the room addition will attach to your home is another major factor in estimating room addition costs. A room addition that requires significant demolition and melding into the existing home can add dramatically to the costs, as not only do you have to pay for the additional room addition square feet, but all of the other costs of tying the addition into the main home. Often a room addition will require a larger or new supplement heating and air conditioning system. Similarly, plumbing for heating is often required. In addition, exterior electric meters often have to be moved on the home prior to building a room addition. 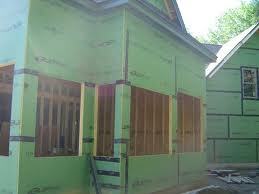 The particular building lot can also be a major factor in impacting home addition costs. For example, the type of building lot could necessitate the installation of deep and large concrete footings and tall foundation walls. To conclude, your best bet in determining the cost of your room addition would be to talk with several local real estate experts to find out what the current cost per square foot is for new home construction. However, to be safe, add a 25% to 50% premium on top of this cost per square foot figure, as room addition costs are typically higher due to the fact that they need to be melded into the exiting home. Free Room Addition Price Quotes with No Obligation! Fill out our 3-5 minute quick and easy form, and receive a free price quote on a room addition from one of our prescreened and licensed room addition contractors. 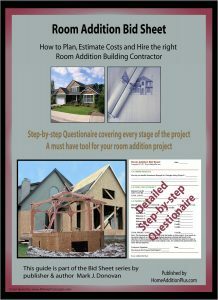 This process is free and there is no obligation to continue once you receive your room addition price estimate.